Randall Wilfred Phaneuf, 53, of Willimantic, CT passed away early on January 24, 2019 at Windham Hospital surrounded by his loving family. The beloved son of Robert and Patricia (Czajka) Phaneuf. Randy worked at the Willimantic Chronicle for 20 years in the Circulation Department. 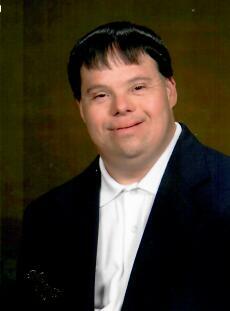 For many years he competed in the U.S. Special Olympics in swimming and soccer, and won a Gold Medal in swimming. Randy loved the Red Sox, NY Giants, WWE Wrestling, and he enjoyed bowling. He was very active in church, and was a Communicant of St. Joseph Church. Randy liked making new friends and was loved by all who were fortunate enough to know him. He is survived by his parents; brothers, Robert Jr. and his wife Linda, and Alan and his wife Sharon. He is also survived by his two nieces, Joslin and Lindsay; uncles and aunts, Louie Czajka and his wife Carol, and Billy Czajka and his wife Mindy, Mary Lou Del Mastro and her husband Bob, Wilfred Phaneuf, and Jeanne Munson. The family would also like to thank special caregiver Laurie Shaw. The family will receive friends Sunday, January 27, 2019 from 2:00-4:00 p.m. at Potter Funeral Home, 456 Jackson St., Willimantic, CT. A Funeral Mass will be held at 11:00 a.m., Monday, January 28, 2019 at St. Joseph Church, 99 Jackson St., Willimantic, CT. Burial will follow at St. Joseph Cemetery.